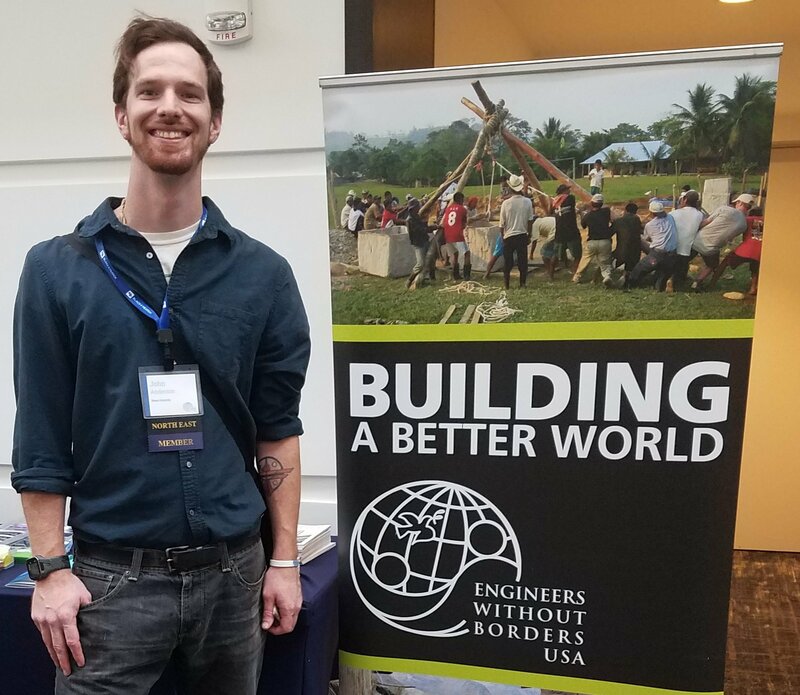 March 6, 2019: Dr. Mohammad Jalayer recieves a $600,000 award from The National Academies of Sciences for research on wrong-way driving solutions, policy, and guidance. March 6, 2019: Dr. Kauser Jahan and Dr. Douglas Cleary are appointed to the Teaching and Advising Wall of Fame. January 25, 2019: Three clinic teams are awarded the Delaware Valley Engineers Week (DVEW) Undergraduate Student Paper award. Dr. Sarah Bauer's "Potential of Winery Waste in Biofuels" team comprised of Marissa Ciocco, Rebecca Gavin, Gabriella Aiello, Gina Venuto-Gabriella and Olivia Kononiuk. Dr. Sarah Bauer's "Potential of Brewery waste in Biofuels" team comprised of Ryan Rorick, Tucker Simmons, William Mai, Shane Kelly and Jeffrey Dobkowski. Dr. Yusuf Mehta's "Innovative Construction Materials for Cold regions: Development of Highly Elastic Binders" team comprised of Nick Vitello and Robert Church. January 24, 2019: Dr. Yusuf Mehta receives an award for his research into "Understanding the Interconnectivity Between Intersection Traffic Congestion, Hospital Indoor and Outdoor Air Quality, and Patients’ Health for Smart Cities Methodology and Case Study in Camden, New Jersey"
January 15, 2019: John Anderson (class of 2019) is appointed the New Jersey state representative for Engineers Without Borders. 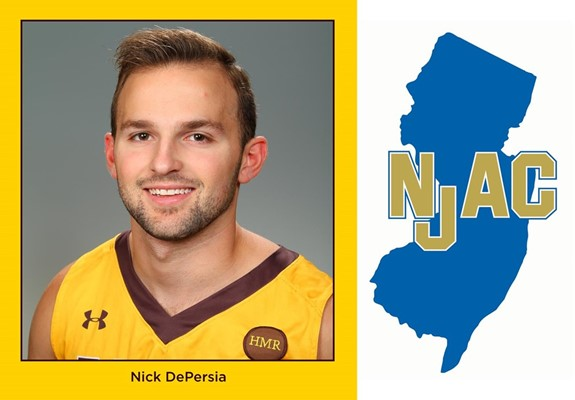 January 14, 2019: Nick DePersia is named NJAC Men's Basketball Player of the Week. January 9, 2019: CEE officially opens Sustainable Facilities Center, led by Dr. Jess W. Everett. December 13, 2018: Dr. Cheng Zhu receives a $50,000 NSF-ICORPS award titled "Shaker Shield - An Innovative Technology for Inhabitant Protection in High Seismic Risk Areas". December 7, 2018: Dr. Cheng Zhu receives the Frances R. Lax fund for professional development. December 5, 2018: Dr. Cheng Zhu receives $11,500 from State Key Laboratory of Oil and Gas Reservoir Geology and Exploitation, Southwest Petroleum University, Chengdu, China on his research titled "Microstructural effects on creep and fatigue in heterogeneous salt". October 26, 2018: Dr. Gilson Lomboy, Dr. Douglas Cleary, and Dr. Cheng Zhu receive $300,000 from NJDOT for conducting research on “Innovative Techniques and Materials for Preventing Concrete Shrinkage Cracking”. 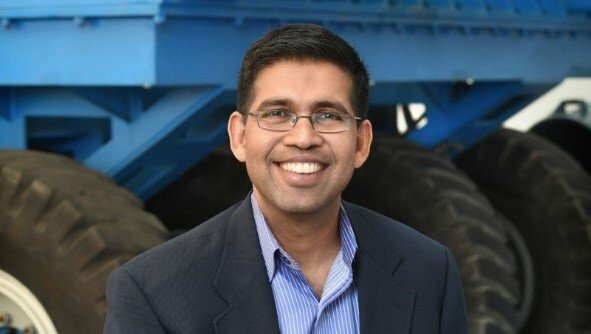 September 19, 2018: Dr. Yusuf Mehta - $3.4 million from US Department of Defense grant “Innovative Construction Materials for Cold Regions Applications”. 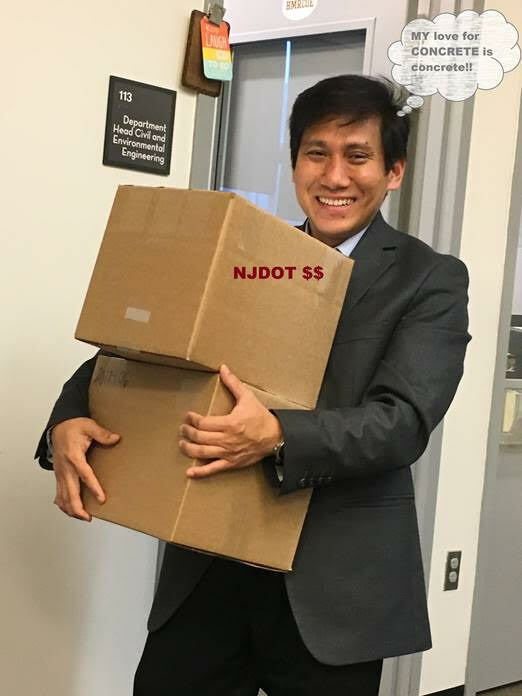 September 5, 2018: Dr. Mohammad Jalayer receives $85,376 from the NJTPA Street Smart grant. September 5, 2018: Dr. Mohammad Jalayer receives $5,043 from the American Traffic Safety Services Association (ATSSA) for "Temporary Traffic Control Methods to Improve Safety at Special Events". September 5, 2018: Dr. Sarah K. Bauer joins the 2018-19 Faculty fellows cohort for the “Cultivating the Environmental Humanities” program supported by the National Endowment for the Humanities (NEH). The program aims to establish stronger links between STEM fields and the Humanities at Rowan around the study of environmental issues. For more information, please visit the project website at go.rowan.edu/envhum. August 2, 2018: Jeffrey Dobkowski (class of 2020) receives $2,175 from the "It's All About Meaningful Employment" (IAAME) grant.